A stylish Black Lil Xan Hip Hop Hoodie. Lil Xan otherwise known as Diego is an American Hip Hop Artist best known for his record hit ‘Betrayal’. 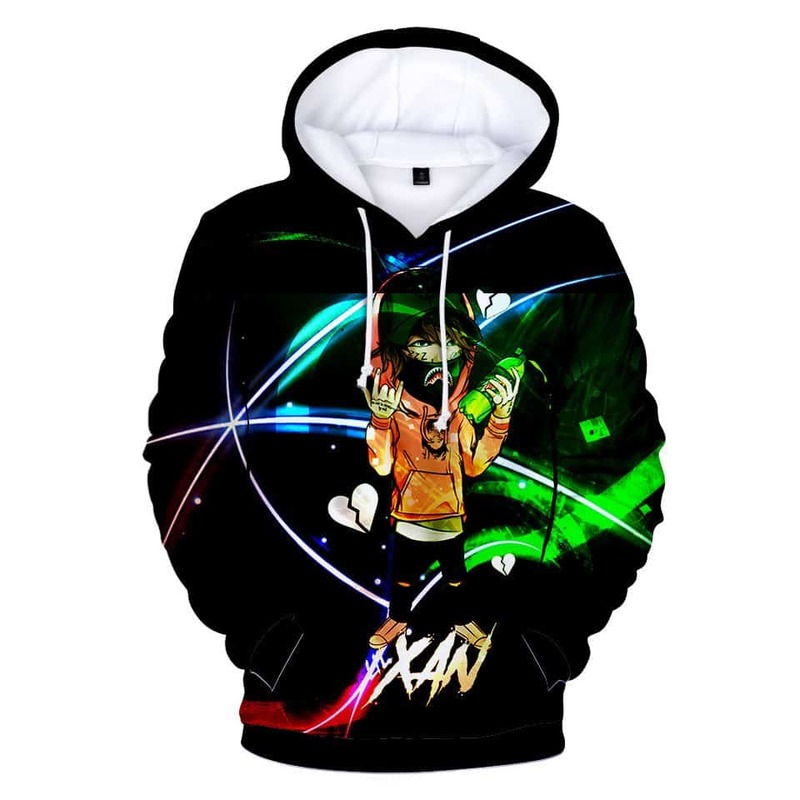 This Black Lil Xan Hip Hop Hoodie is a cartoon character of Diego holding a bottle of Mountain Dew. If you are a fan of Lil Xan, then you will love this Hoodie.